BySide offers a unique lead activation platform that helps sales and marketing teams keep track of all the contact and personalization details for sales prospects, for more consistent and effective communication. 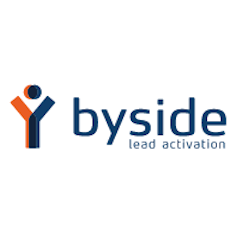 BySide is an advanced Lead Activation platform where sales and marketing can collect and organize contact and company information for prospects, and capture website visitor actions and the likelihood for conversion. The platform features BySide AdCenter, a creation and management tool for targeted campaigns.